The Corra reliner is ready to accommodate all your needs for a beautiful and comfortable living room. 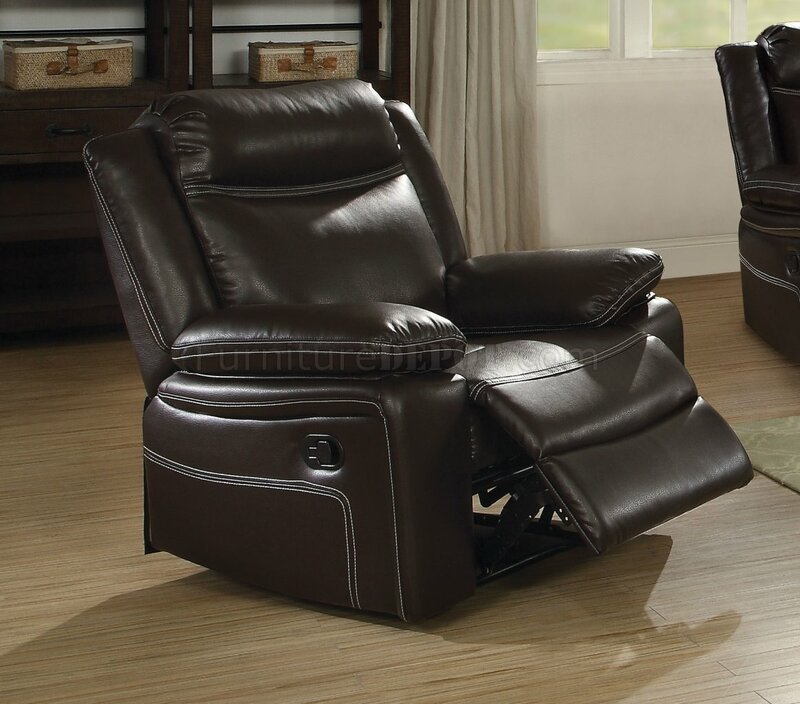 This recliner features plush arm rest, over stuffed tight seat cushions and head rests. It is wrapped in a smooth faux leather upholstery which is not only attractive to look at but is also easy to care for. Enjoy a movie or book while sitting in comfort.